Allo friends! Thanksgiving is over so we are now officially in the holiday shopping / making / gifting frenzy period. People seemed to like the green gift guide for foodies that I did way back in 2007 (my, how time flies!) so I thought I'd give it another go. But this time I'm going to publish a series of three smaller gift guides, each one with a particular focus. 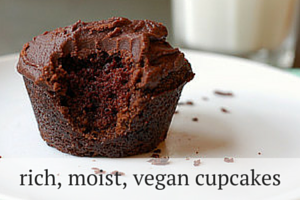 This first one is for foodie bookworms. 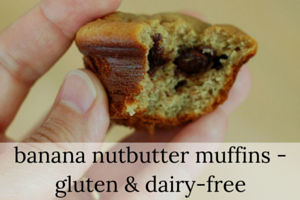 Feel free to share your suggestions via comments! How's about an embossed stamp to mark the books in their library? I got one for myself (and one for my mom since it was her great idea) from Wilshire Graphic Press and find it very satisfying to emboss my books with my own little stamp. 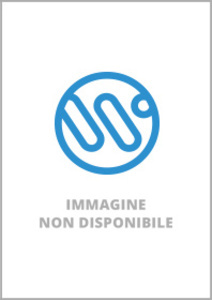 The stamp should also help prevent books you lend from going AWOL. You can either customize a stamp using their pre-designed offerings (which are pretty extensive and include some nice options) or upload your own custom design for an extra $10. 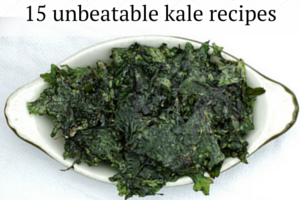 It's hard to go wrong with a good cookbook. Below are just a few of my recent favorites. 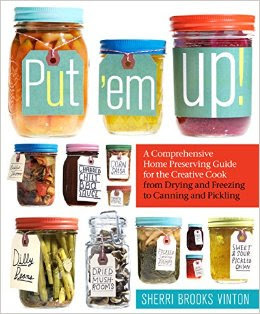 Put 'Em Up: a Comprehensive Home Preserving Guide for the Creative Cook This is a divine new canning and preserving cookbook. I LOVE it! 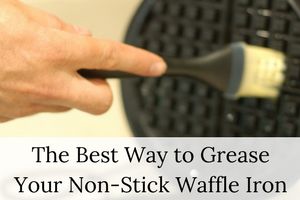 It's great for everybody -- from newbies to experienced canners. But be prepared to be a little overwhelmed because you'll probably want to make everything in the book. I had one of those experiences where I started putting little colored post-it flags on the pages I liked best and then gave up when I realized I was basically flagging every page in the book since that kind of defeats the purpose. 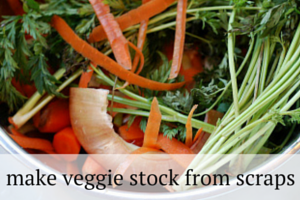 Recipes From the Root Cellar: 270 Fresh Ways to Enjoy Winter Vegetables This may be my favorite new cookbook of 2010. 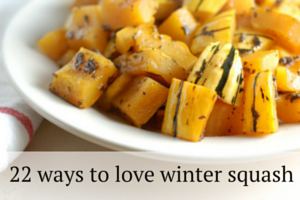 It's filled with simple, hearty, delicious recipes to get you through winter in style. The fact that this book came out just as we were moving back to the east coast and losing access to Berkeley's amazing year-round local organic produce feels like some sort of divine intervention to me... But I think you'll love it no matter where you live. Canal House Cooking Series These cookbooks are a feast for the eyes (and mouth). My friend, Naushon, got one a few months ago and I practically drooled looking through it... They've published five of them so far and you can buy them individually for roughly $20 a piece or get the whole set. 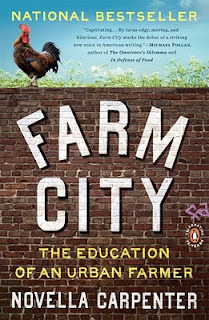 Farm City by Novella Carpenter -- this is simply an awesome read - funny, fascinating, and written from the heart. Novella's story about her experience starting a "squat farm" on the vacant lot next to her apartment in the 'hood in West Oakland. My review is here if you want more info. 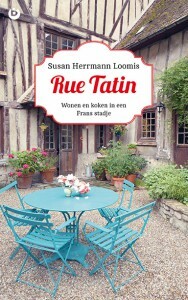 On Rue Tatin by Susan Hermann Loomis - this wonderful book is a mix of personal history and recipes from her life in France - kind of an artistic and culinary delight. 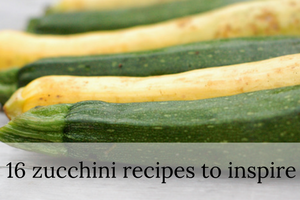 I've made a few of the recipes she includes in every chapter and have loved each one. Here's one of my favorite recipes for braised chicken with white wine, mustard and onions. Long Ago In France by M.F.K. Fisher - this is a classic - a memoir of M.F.K. Fisher's introduction to France and French cooking when she lived there with her first husband in the early 1900s. I think this is a great place to begin with her writing -- and it will certainly whet your appetite for more of her books. Tender at the Bone by Ruth Reichl - I thought this personal history by the former editor in chief of Gourmet magazine was a great read - she just lays it all out there in a way that makes it impossible not to like her. I also picked up another of her books, Comfort Me With Apples , that is the second installment to Tender at the Bone on a recent business trip and liked that one, too. 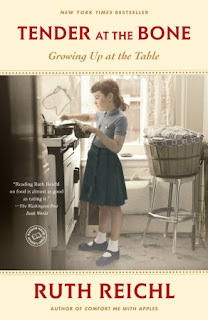 Humility, humor, brilliant descriptions of food and a darn good memoir to boot. Animal, Vegetable, Miracle by Barbara Kingsolver -although this could technically also go under the intellectual category below, I enjoyed it so much that I'm putting it under pleasure reading. 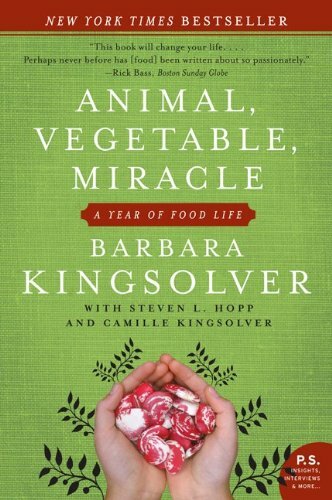 Kingsolver's chronicle of her and her family's one year attempt to eat extremely locally, growing most of their own food at their home in Tennessee. 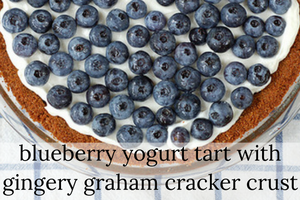 Although this book came out a few years ago and the concept is no longer new, the book is still great -- the writing is excellent and the recipes are good. And where else can you get a firsthand account of turkeys mating??? Or maybe you know a food-lover who prefers to read books about the intellectual or historical aspects of food. In that case, here are a few books, I would recommend. Cod: a Biography of the Fish That Changed the World by Mark Kurlansky was definitely an interesting read. Who'd a thunk it that cod was so pivotal in many many ways (including the settling of the new world)?! 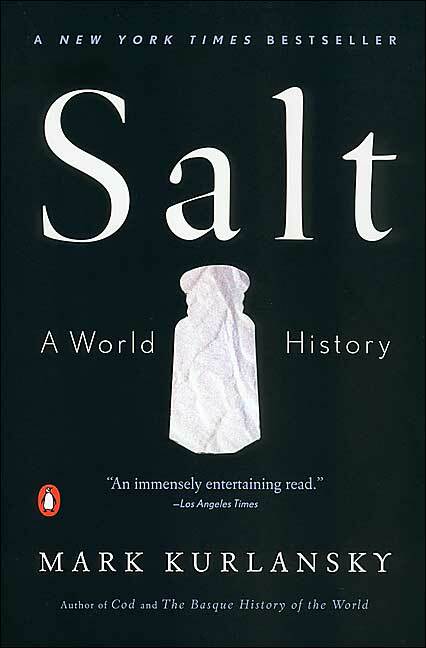 Kurlansky also wrote Salt: A World History , which traces salt's very long history and makes you realize that none of us would be here today without that white stuff. 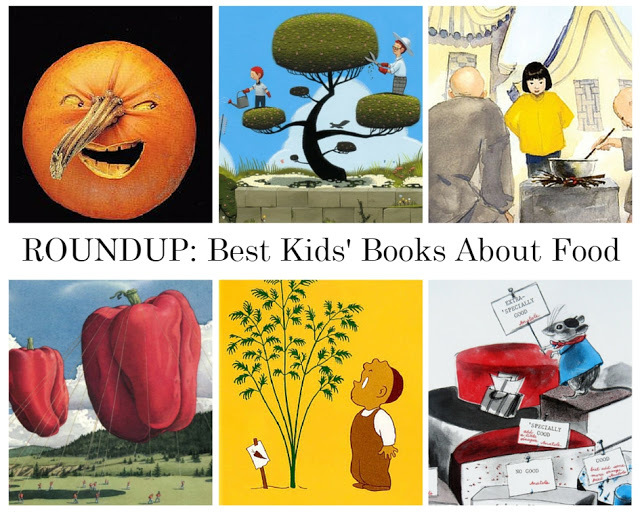 I also feel honor-bound to include Michael Pollan's The Omnivore's Dilemma , In Defense of Food , The Botany of Desire and Food Rules in this list though I am putting them last since they're already so well-known. But they're all good reads and eye openers. It's probably not necessary to read all of them, especially the more recent ones since he ends up covering some of the same ground in more than one of them. 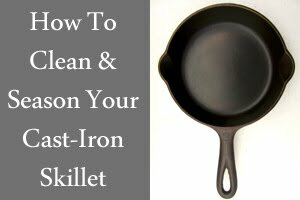 If the foodie in your life is not bookish, you may also want to check out the other installments of my 2010 gift guide. 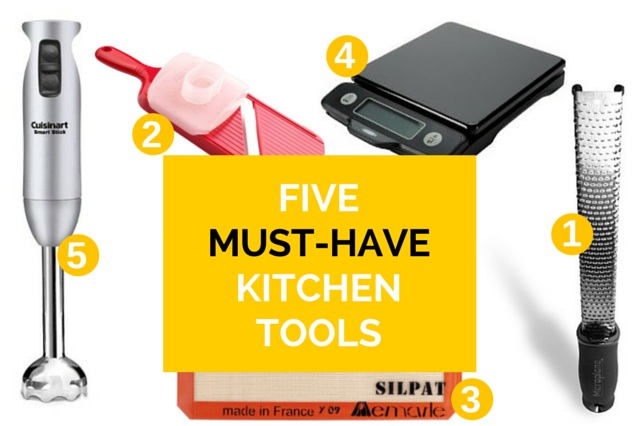 Browse through my suggestions for gadgets, gear and other assorted gee-gaws for food-lovers. 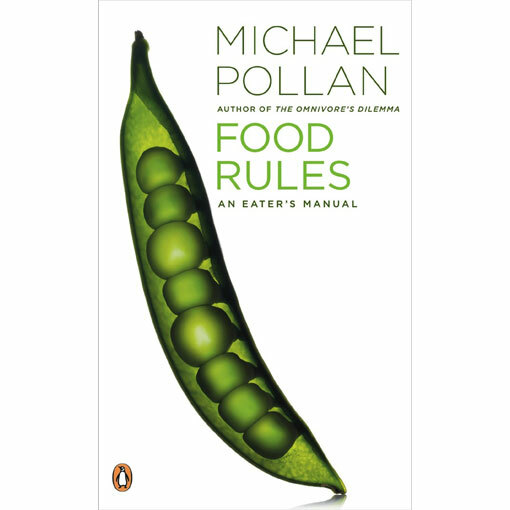 Michael Pollan's Second Nature is older and often forgotten. 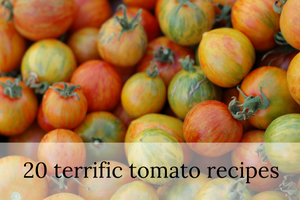 It is excellent, particularly for foodies who garden. Great stuff! Finding gifts for readers and book lovers can be so tricky... 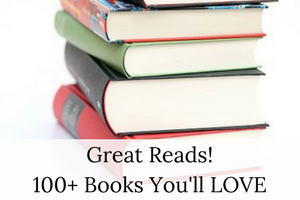 It's hard to know exactly what books people really want. Thanks for the ideas!